Hiring an employee isn't as straight forward as you might expect. Federal, state and local regulations protect the rights of the job seekers and employers must stay current on any changes that may affect their recruiting and hiring processes. "Ban the box" is one regulation that is appearing in headlines across the country and affects employers and job seekers alike. What exactly is Ban the Box and what do employers need to know? What Box is Being Banned? 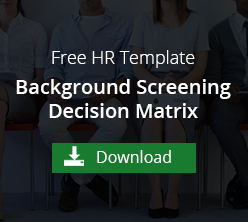 Many hiring managers will opt for a background screening to weed out candidates in consideration. Understandably, employers wish to reduce negligent hiring claims, avoid criminal activity and create a safe workplace. The choice seems cut and dry - if there's a criminal background, that candidate is out of the running. In the past decade, however, there have been more discussions about the rights of those who have served their time and hope to reintegrate into society. The "box" that is increasingly being banned in cities and states across the country is the one that asks, "Have you ever been arrested or convicted of a crime?" An estimated 70 million (or 1 in 3) adults in the United States has some sort of criminal record¹. The criminal record could be as simple as one wrong decision. The crime could have been committed as a young adult, decades before. However, If a job applicant checks the box, honestly admitting to a criminal history, they are less likely to move forward in the hiring process with an interview or job offer. Ban the box laws hope to preserve the civil rights of those who have been incarcerated by allowing them a fair chance when applying for jobs. When an employer discriminates against a former inmate, with everything else being equal, the discrimination may have a disproportionate affect on certain segments of society. While the Civil Rights Act, the Fair Credit Reporting Act (FCRA), and the Equal Employment Opportunity Commission (EEOC) were created to ensure that no particular group would face discrimination, many groups feel that those with criminal backgrounds have been treated unfairly. How does Ban the Box affect Hiring? The criminal history question must be removed from the application. Employers must also remove language that suggests that applicants with a criminal history will not be considered for employment. Applicants must be informed that they will be subject to a background check. The employer must also obtain consent and authorization to a background check. If conducting a background check and a criminal offense is discovered, the employer cannot deny employment based on the offense unless the offense was current and directly related to the responsibilities of the job. If employment may be denied, the employer must notify the applicant through adverse action. Who has Banned the Box? Because Ban the Box laws haven't gone into affect at the federal level, with some exceptions, keeping up with Ban the Box laws can be challenging for employers. At the time of this writing, there are 24 states, 100 cities and counties that have adopted fair hiring statues². Some employers, like Target, have changed their hiring policies to remove the box from applications. State Representatives in Louisiana just passed a "Ban the Box" employment bill earlier this week. President Obama has been urged to ban the box nationwide, even after endorsing a fair hiring policy for federal agencies. Fair chance hiring policies are being adopted daily and employers must have their finger on the pulse of hiring policies in their area. Yes! If your employer is located in an area that has banned the box, you will need to re-evaluate your hiring and background screening policies. We've created sample templates and other documentation to help you stay compliant with the fair hiring policies in your city, county or state. Download the compliance packet by clicking on the green box below. 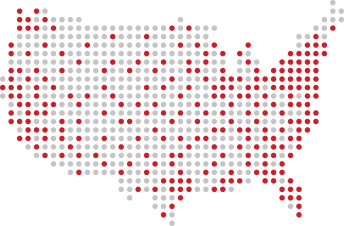 Because VeriFirst works with companies across the nation, we do our best to stay current on hiring policies that affect them. Our staff is FCRA-certified and focused on assisting hiring managers stay compliant. Contact us if you have any questions about Ban the Box policies in your area.